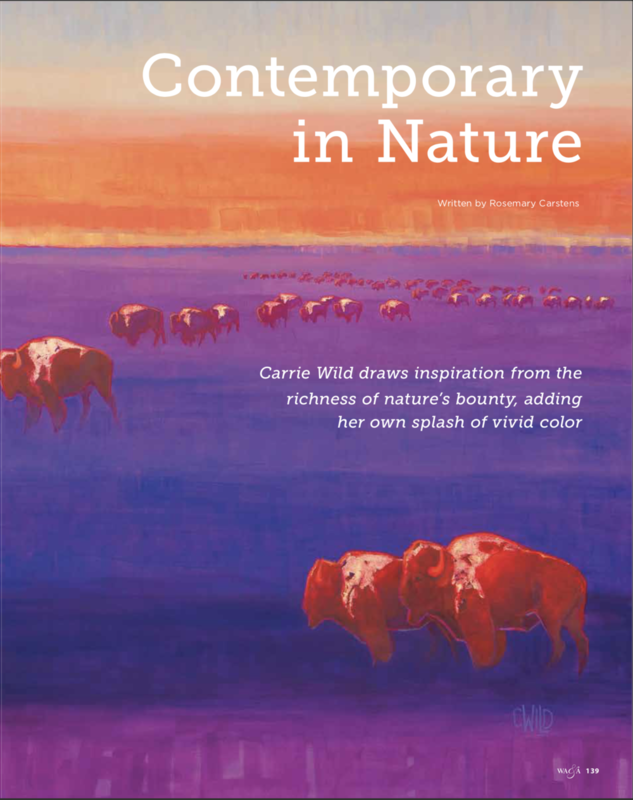 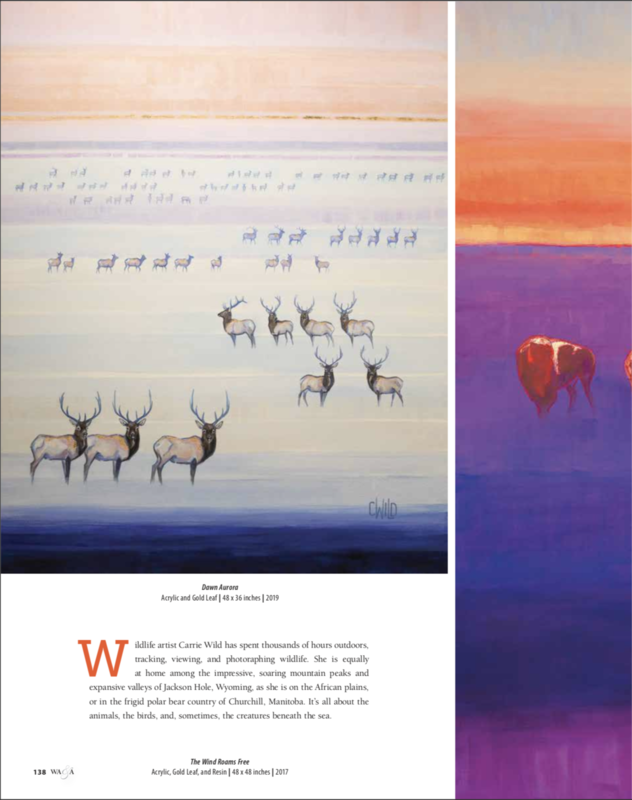 We are very honored to have Carrie Wild, the owner and name-sake of our gallery, featured in the April-May 2019 issue of Western Art & Architecture! 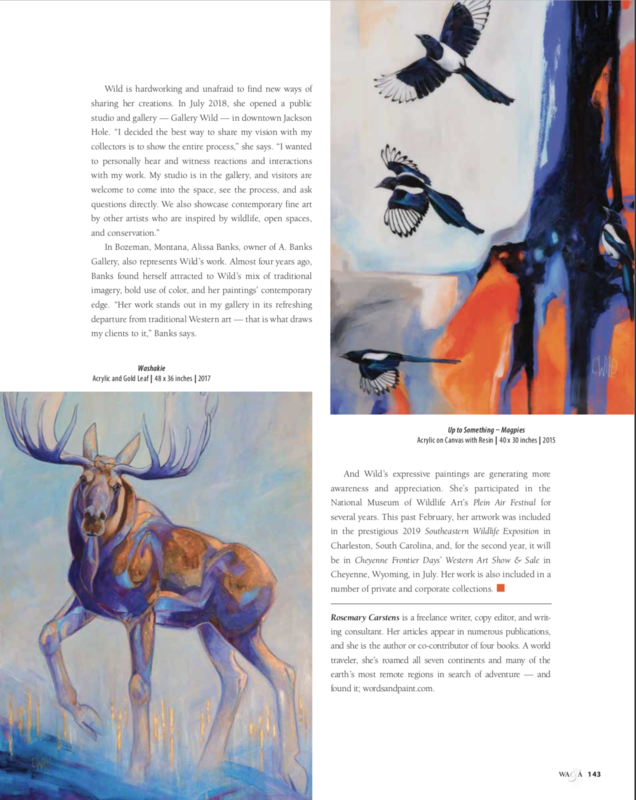 Carrie’s hard work and dedication to her art and the inspiration behind it has created a great space and mission for Gallery Wild. 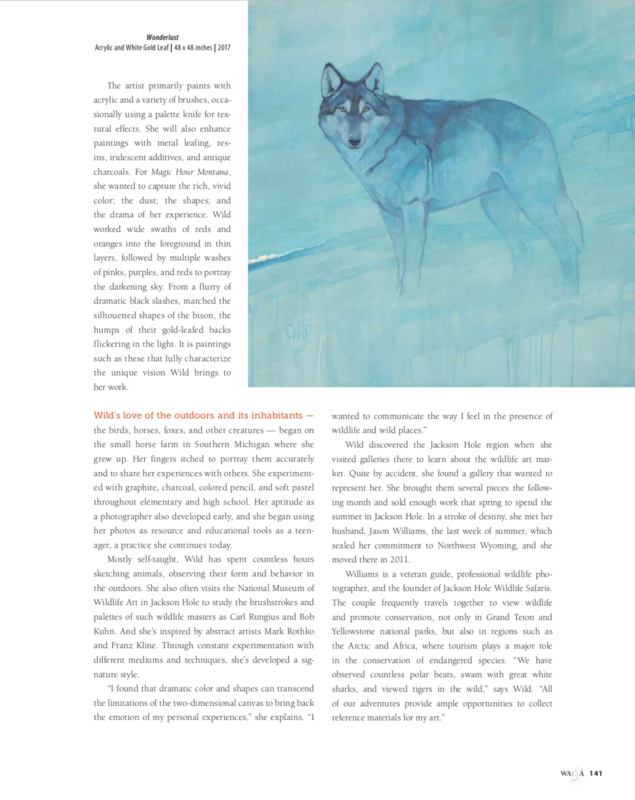 Pick up an issue or check it out below!